It’s that time again! 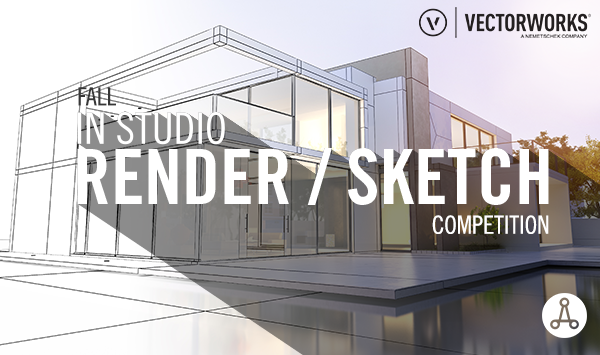 The American Institute of Architecture Students (AIAS) is proud to announce the launch of the second annual In Studio Render/Sketch Competition in partnership with Vectorworks, Inc., a global design and BIM software developer. The AIAS is looking for members to share their sketches and renderings to showcase the work our members do and to provide inspiration for those looking to enhance their skill sets. This competition is open to all years and skill sets – show us what you’ve got! Each Wednesday during the competition the National Officers will select their top five (5) submissions and feature them in the AIAS InStudio Highlights on Instagram. At the close of the competition, the jury will select three winners from the submissions posted between September 11 and December 14, 2018. Winners will be announced at AIAS FORUM 2018 in Seattle, WA. Three winners will be selected and their work will be showcased at AIAS FORUM 2018. You must have uploaded your sketches and renderings to Instagram by 11:59 pm on Friday, December 14, 2018. Check out last year’s winners. Vectorworks, the In Studio Render/Sketch partner, is dedicated to supporting the next generation of designers. To this end, students anywhere in the world can download a free copy of Vectorworks software, and academic institutions can apply for the lab donation program. Learn more about Vectorworks’ educational offerings at vectorworks.net/education.